A comprehensive solution for the treatment of both bariatric and average weight patients in the dentistry, ENT and podiatry sectors. 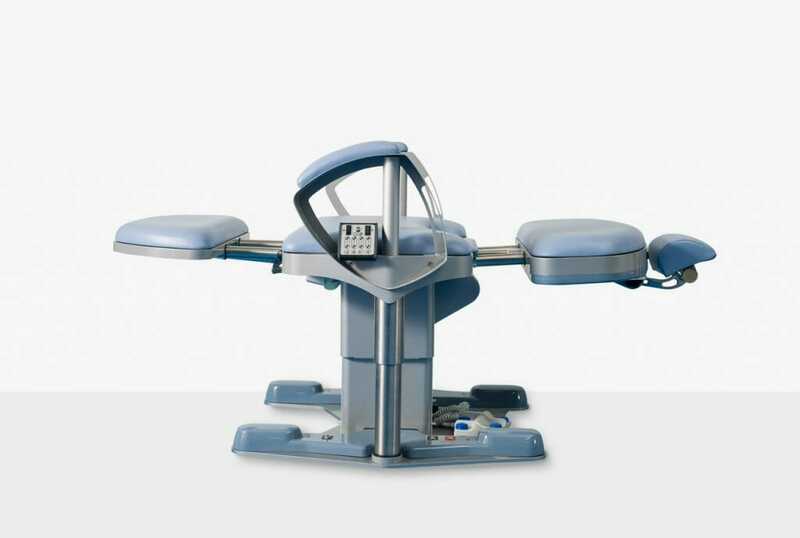 The Bariatric Treatment Chair is an innovative solution in the treatment of bariatric and nonbariatric patients alike. 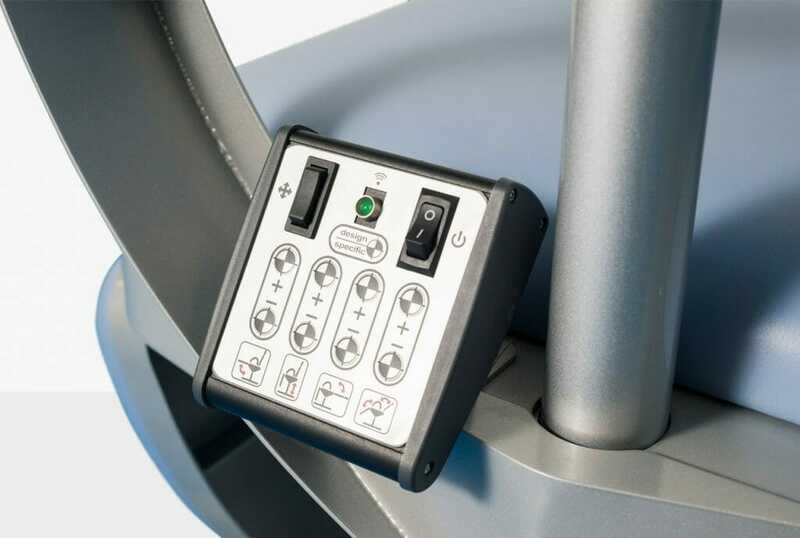 It includes many original features to enhance treatment, handling and comfort for both clinical staff and patients. 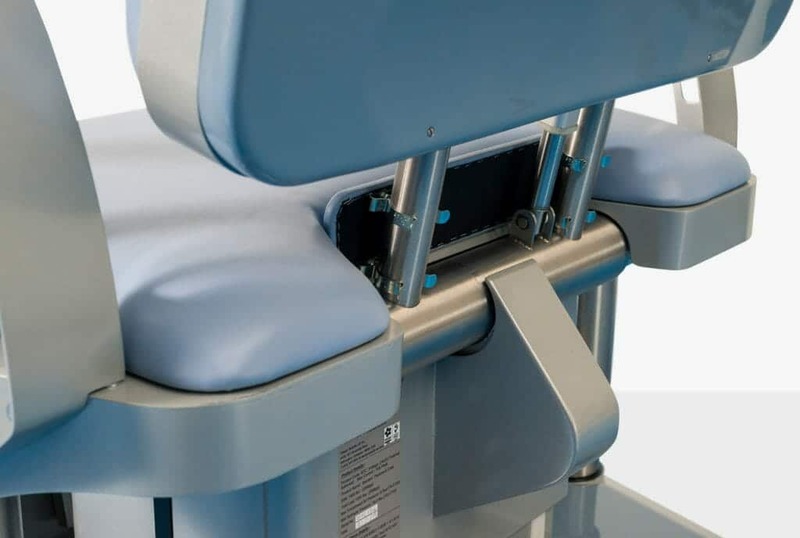 The design of equipment for bariatric patients demands special consideration, as generally their movement is more restricted. 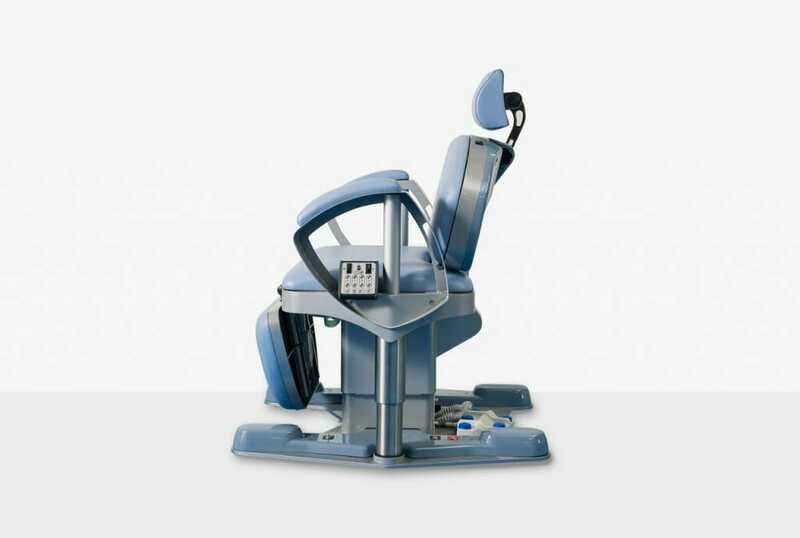 Therefore, when reclining the backrest, the headrest position remains consistent so that optimal support can be achieved for all patient. 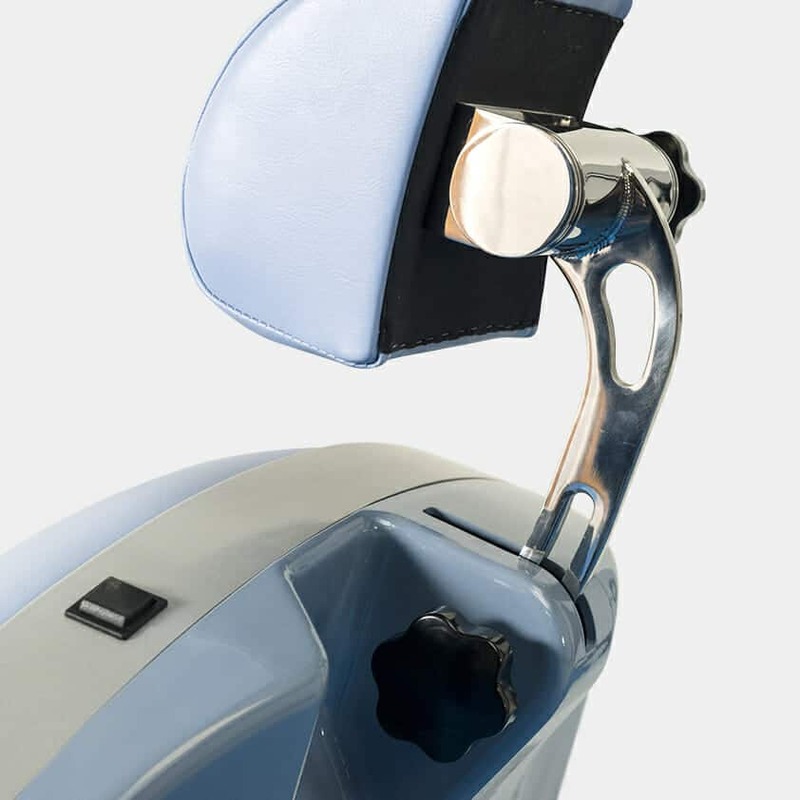 The leg rest extends when raised, to avoid the patient sliding between leg and cushions.